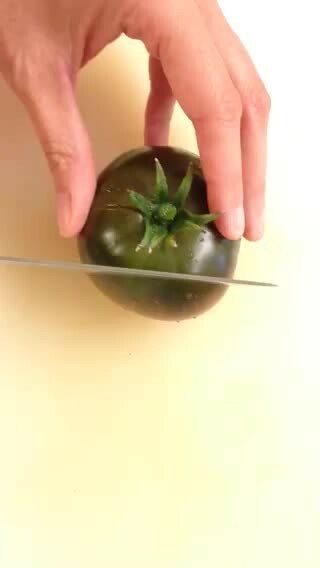 Here is a short tease of our first tomato this season. It is a Black Krim, best eaten slight green. 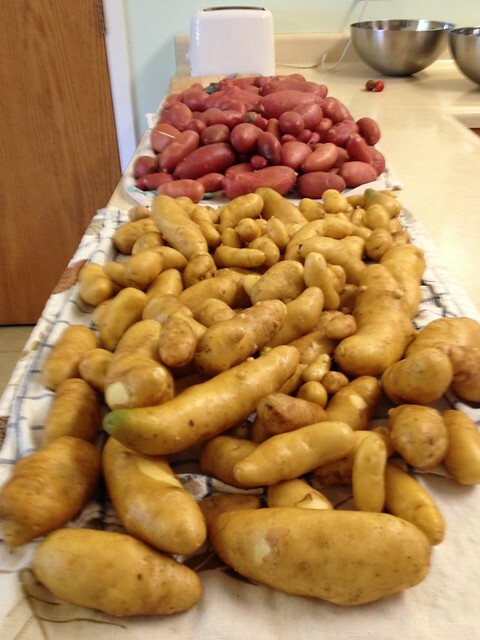 Look Dad, I am a Potato Farmer! 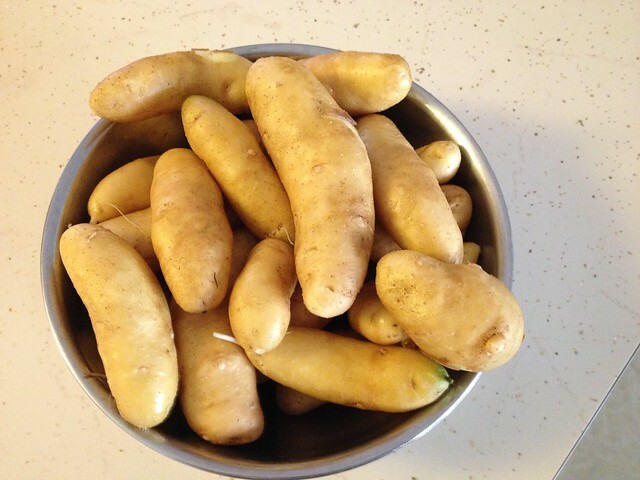 Here are the rest of this years’ crop of potatoes. Damn they are good.